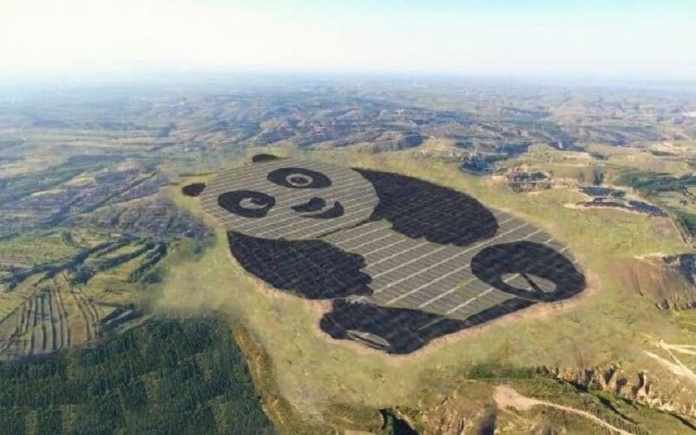 In the Chinese Shanxi province has established and launched the world's first solar power station, which from bird's eye looks like a huge Panda. The total area of the plant is about 100 hectares, reports The Telegraph. It is planned that it will have a capacity of 100 MW and over 25 years of operation will produce 3.2 billion kWh of green power. The station consists of panels of black and white colors, which together constitute the image of a big smiling Panda. The idea of building a power plant was implemented with the support of the UN development Program. "The design of the plant in the form of pandas can inspire young people to engage in the production of solar energy," said CEO of Panda Green Energy Li yuan.